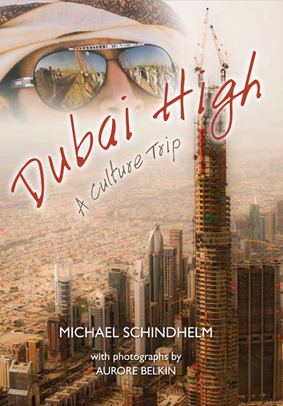 In early 2007, writer and theatre director Michael Schindhelm was appointed by the Dubai authorities as consultant on a projected opera house, and in early 2008 found himself with a broader remit as director of the newly founded Dubai Culture and Arts Authority. His diary of 2008 is a partly fictionalized account of his first twelve months of both working and living in Dubai. It is a meditation, from a cultural perspective, on the nature of this extraordinary city and its project to reinvent itself according to new rules of its own devising. From the outset there were profound cultural issues to be faced. Can essentially alien art forms be transplanted effectively? Can they be imposed top-down by the authorities? Can high culture ever be financially self-supporting? In a society run like a business by a tiny, unaccountable elite, in which freedom of speech is limited and ninety percent of the people are transient, expendable expatriates, can the arts realistically be nurtured as a form of social expression and self-examination? The author’s efforts to create projects were undermined by misunderstandings over the nature and purpose of the arts – in his employers’ conception, little more than a marketing tool to boost Dubai’s brand as a premier global tourist resort. His woes were compounded by the lack of clear distinction between government and private enterprise, and by the very Arabian custom of bringing in privileged outsiders to advise on, and occasionally to compete with, schemes supposedly under his direction. Ultimately, his projects were undone by the global financial crash of late 2008. Despite such travails, the author is able to see the funny side and retains some sympathy for the Dubai project. He remains optimistic, seeing in Dubai and other Gulf States a glimmer of hope for international cultural dialogue, leading to increased understanding between the Arab world and the West. Dubai High is now available online! Click on the download link below the read the open source publication.